Learn about the differences in your Dead Eye Mode in Red Dead Online and Red Dead Redemption 2! Check out the ability card loadout, passive skills, and more! Check Out What Is Red Dead Online! 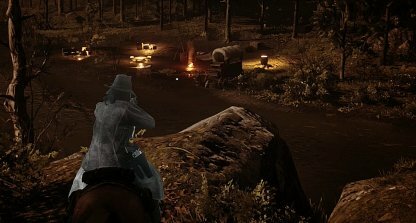 Unlike the Dead Eye mode in single-player RDR2, Dead Eye in Red Dead Online does not let you slow down time. It does, however, trigger abilities & buffs from an Ability Card loadout. 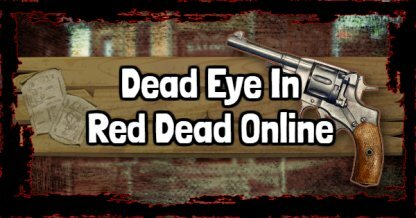 Dead Eye in Red Dead Online activates a series of abilities & buffs that affect your damage, health recovery, defense, etc. These are skills useful during precise moments in the gameplay - shootouts, horseback chases, etc. Check Out Ability Card & Loadout List! The abilities you can activate can easily be swapped with each other, provided you have already unlocked or purchased them. 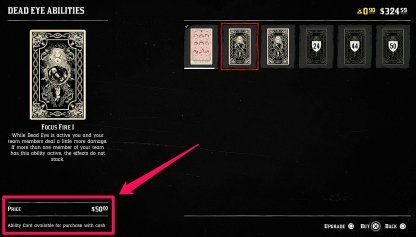 Ability Cards, save for the free ones you initially get, are purchaseable or unlockable in your loadout menu. This is the only way you can activate & equip them. Though the effects are quite different, you can activate your Dead Eye the same way that you can normally use it in Red Dead Redemption 2. It's best to always check what kind of mission you're going into and changing your Ability Card loadout to match it. This will help you quickly accomplish your mission in an easy manner. It's best to use Dead Eye when you need it - during shootouts or battling enemy players. This saves your gauge for more important moments in your mission. Your abilities will get stronger the more you rank them up and your Dead Eye mode will last longer if you keep leveling it up. 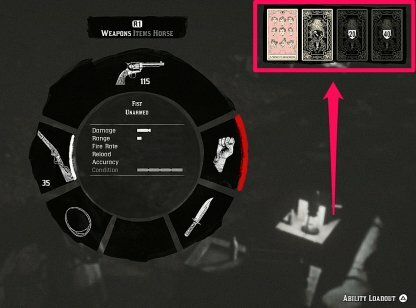 It's best to rank both your Dead Eye gauge and your Ability Cards to make the most of them.